People and their electronic devices are migrating from the desk to rooms with comfortable furniture. Here they work, shop and play in comfort but are still bothered by nagging inconveniences. For example, the low battery alarm demands that we stop, get up and plug in, right? Electrical wall outlets are often scarce and difficult to reach behind heavy furniture, true? 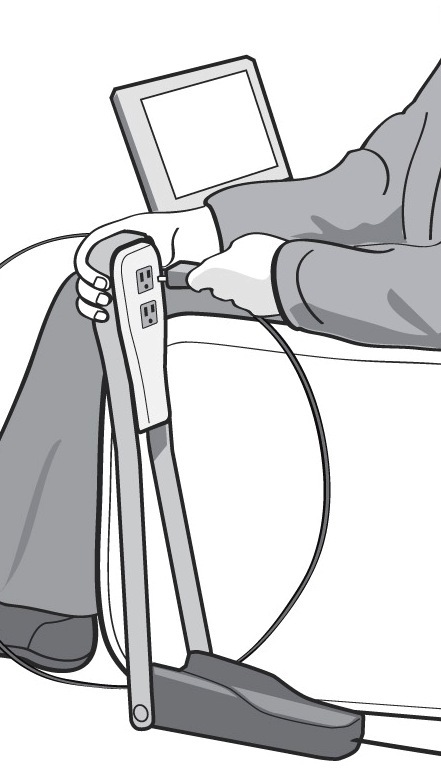 Household extension cords and power strips are ugly, hidden from view, forcing the user to crawl around looking for them. Unplugging from obstructed electrical outlets is just as inconvenient, so billions and billions of power supplies remain on, wasting enormous amounts of power even if the electronic device itself is turned off. They are vulnerable to two kinds of damage too. the first is heat build up (due of poor air circulation beneath them) and from flying kids, pets, or your next clumsy move. This is why I invented Ploog’n. 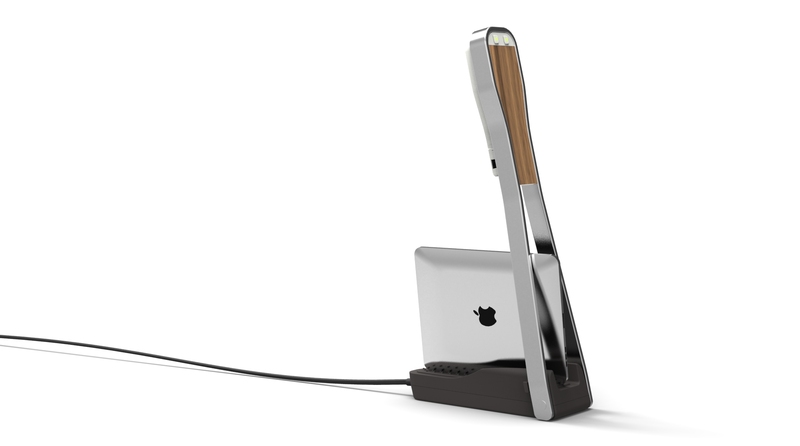 Ploog’n is an evolutionary new extension cord, laptop, tablet ,smart phone & IPod charger, storage dock, and power management device all in one. It has a long 10 foot grounded extension cord culminating in two surge protected electrical outlets that are raised up off the floor so you can plug in and out from your sitting position. Illuminated switches control each outlet to reduce wasteful vampire power consumption. 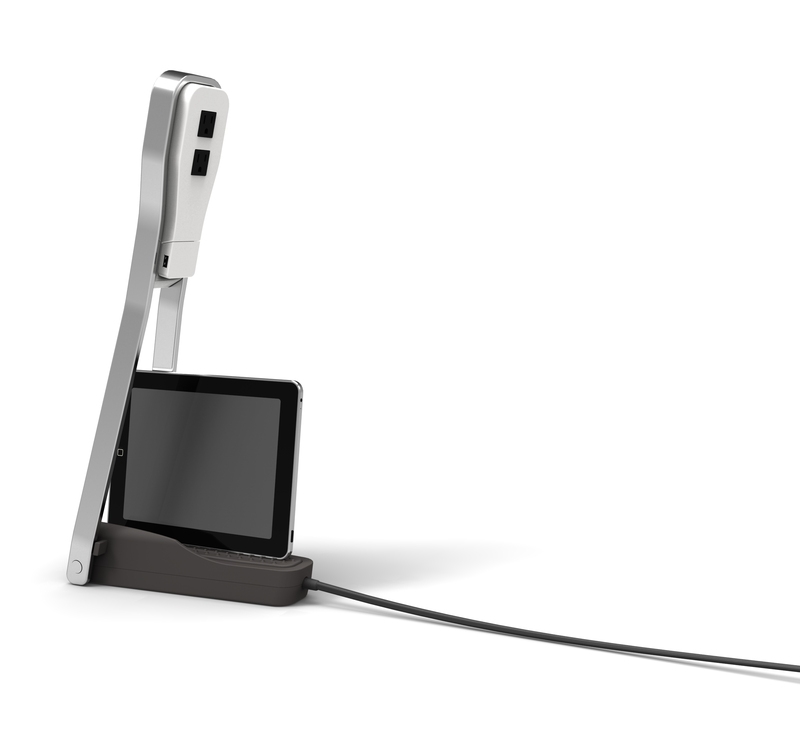 A berth in the base cradles your tablet or laptop device safely, out of harm’s way. 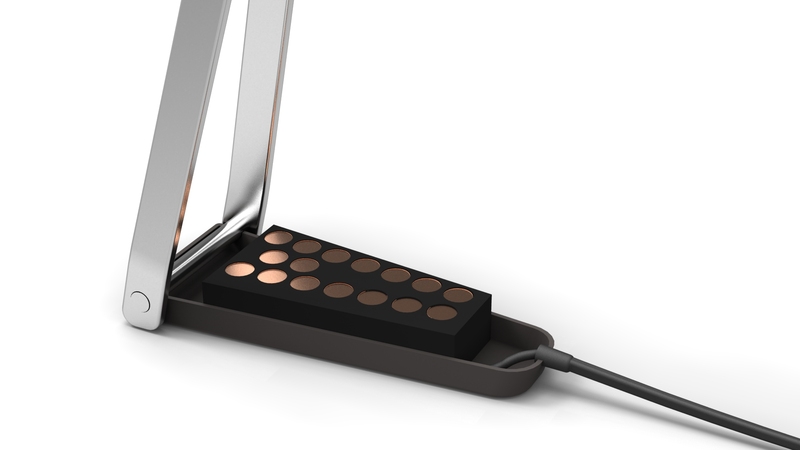 An optional USB charging adapter can be added too. All these features are within easy reach of a person sitting, standing or lying in bed. 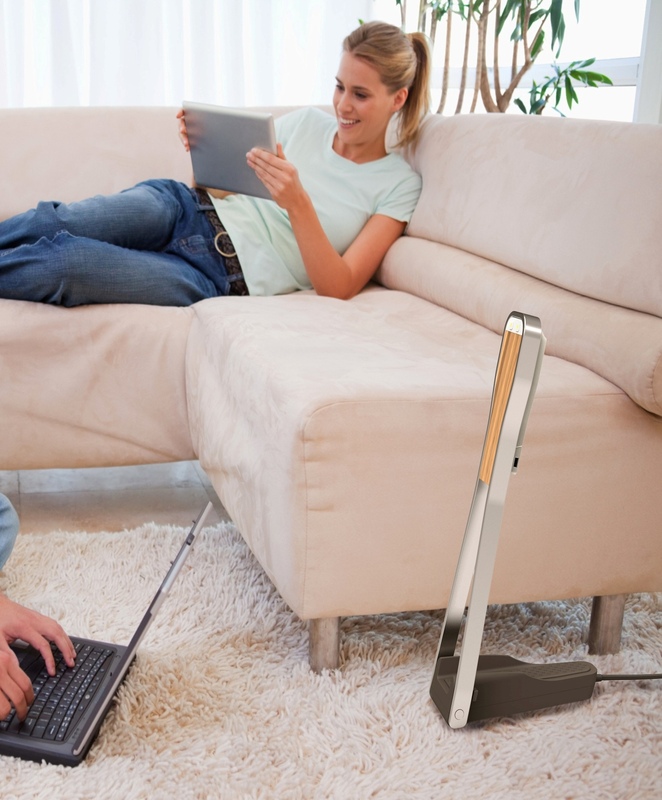 Ploog’n sits on the floor next to your favorite chair, sofa, bed or desk. In this photo it is in view in the room. I also envision it tucked between the sofa and end table or the bed and night stand. Here, it is still easy to access but somewhat hidden from view (if that is important to you). 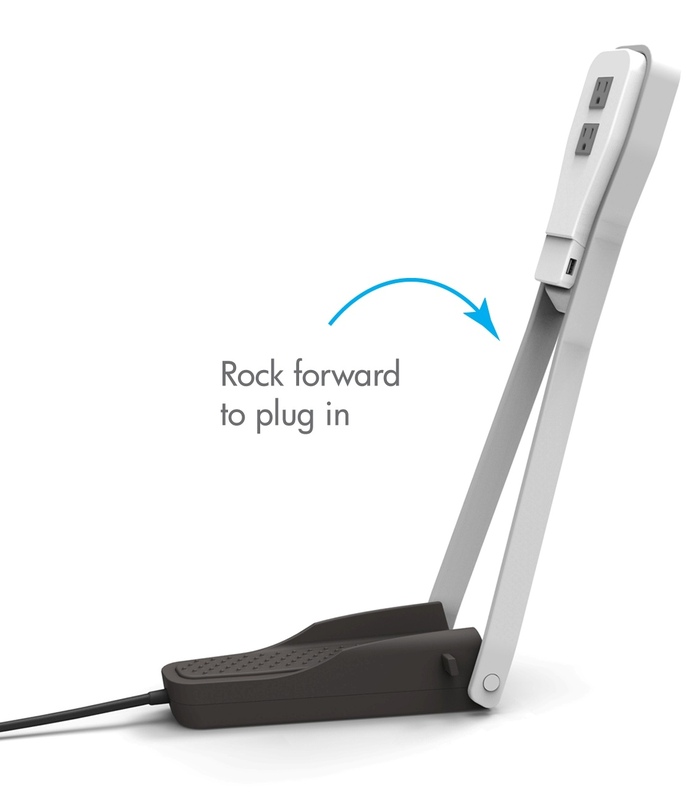 Ploog’n rocks forward to plug devices in and back to rest, out of the way of your arm movements. Wires are cleverly hidden behind the device. Ploogn’s stylish design can be customized to suit the decor in your room. 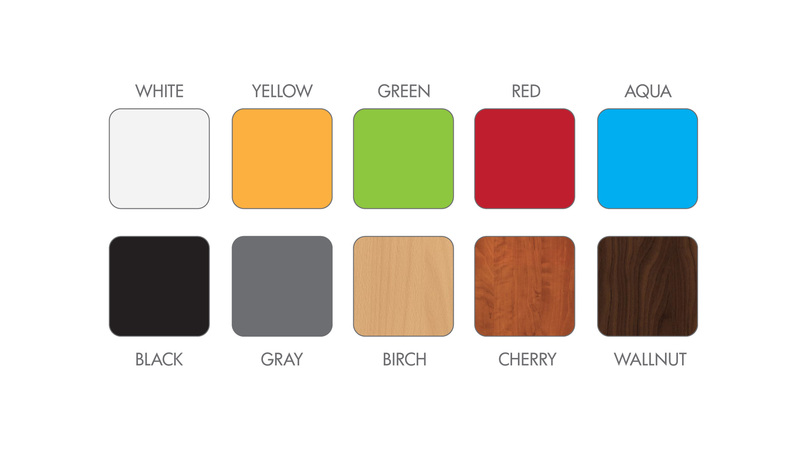 Here are just a few of the hundreds of colors that will be available. Ploog’n was designed with the earth in mind. For example, concern about carbon emissions and rising shipping costs challenged me to make Ploog’n as light weight and flat as possible. It stands approximately 24″ high (68 cm) during use and collapses flat to ship, store and transport. This reduces packaging and shipping waste. Here is a crazy great idea but I love it! Like lamps, Ploog’n needs a little stabilizing weight in the base. Popular demand, would result in shipping a significant number of weighted around the world. Let’s dream real big now. If I sell and ship 10,000,000 Ploog’ns, with the stabilizing weight included, that’s 10 million pounds that belching ships and trucks have to haul to the detriment of the environment. My response was to eliminate the base weight but make accommodations for it in the design and ask the end user (you) to supply the weight using common items found in the home. Here is what I discovered. Two dollars worth of US copper penny coins placed in the base, equals the required one pound (453 grams) of weight. Banking two dollar’s worth of pennies in Ploogn’s base costs less than shipping its equivalent to the customer. Asking the customer to supply the weight is kinda unconventional but it helps the environment and saves money. You probably have pennies collecting in a dish, right? The household extension cord though ugly looking, suffices for TVs and lamps when the need to plug and unplug is rare. 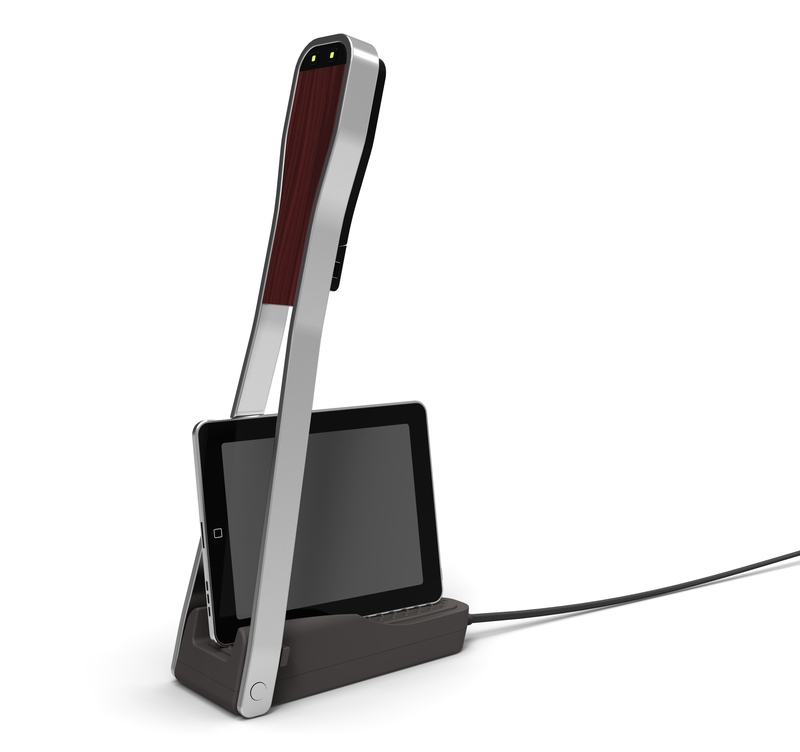 Today, people and their electronic devices go everywhere together and those devices need charging frequently. So people are plugging and unplugging all the time. The household extension cord was never designed for this activity. It is ugly, so you hide it under the couch. When you need it you bend down and crawl around looking for it. Crawling around in search of an electrical outlet is terribly inconvenient and outdated for anyone at any age. Ploog’n is the solution. 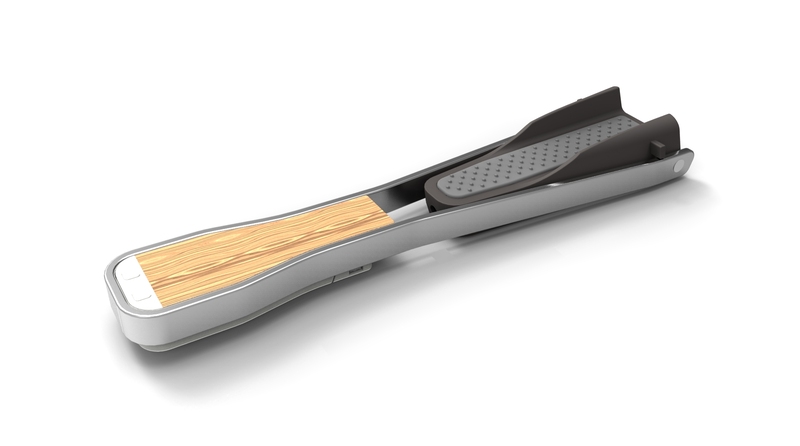 Ploog’n is the evolutionary advancement that stands upright for fast, easy electrical connections. Ploog’n powers our electronic go-go lifestyle. I have an excellent team of industrial designers, mechanical and electrical engineers working to complete Ploogn’s development. I’m building a mailing list to help me make some crowd sourced decisions going forward. I hope to conduct a KickStarter campaign to kick start production. Will you join me in this effort? Thank you for taking time out of your busy life to read about my baby. If you like Ploog’n, please let me know? Then let your friends know? Please post something on our Facebook page and yours, Twitter and all the social media you participate in? If you have any questions, I’ll be happy to address them. If you give me your email address, I’ll keep you appraised of Ploogn’s progress. I will not spam you or give your address to anyone else. This entry was posted in Product Updates and tagged alternative, better choice, cable management, power cord, power stand, power strip, wall outlets by Steven Chayer. Bookmark the permalink.